Lian Li first introduced the Alpha 550 Tempered Glass chassis along with the Alpha 330 last January. It features the Lian Li signature all-aluminium construction along with the integration of tempered glass panels. Lian Li now upgrades the Alpha 550 with Lian Li’s Bora RGB fans offering a whole new styling with the controllable RGB illumination added. The Lian Li Alpha 550 offers the best interior view of your prized components with its large 4mm-thick tempered glass panel. RGB illumination shines more vividly behind tempered glass compared to acrylic panels that give an exquisite styling. The Lian Li Alpha 550 tempered glass chassis is an epitome of beauty for enthusiast desktop cases. The addition of the Lian Li Bora RGB fans doesn’t only add customizable RGB lighting, it is also easy to clean with its detachable fan blades along with frame modding options. The Lian Li Alpha 550 also features a tool-less design to make installation and maintenance a breeze. 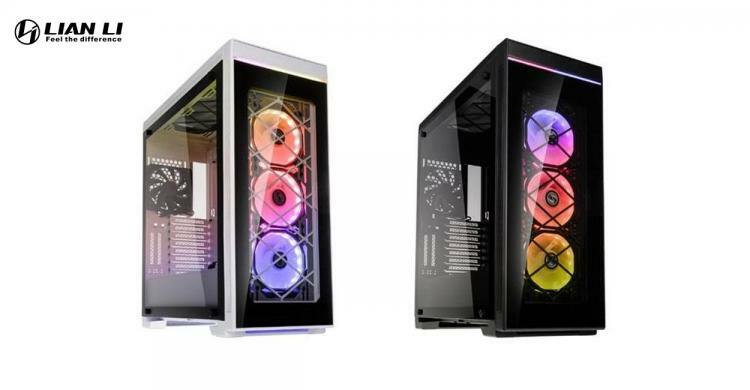 The Lian Li Alpha 550 chassis with Bora RGB fans come in black and white models, both get an MSRP of £154.99. Now available at OCUK.